My Child Has Ear Wax In His Ear, Should I Be Worried? Written by Kristen Stuppy MD. Dr. Stuppy is a practicing pediatrician in Kansas. She feels privileged to be able to help families keep their children healthy and she loves watching entire families grow! Dr Stuppy is active on Facebook and puts a more personal touch to pediatric topics on her blog. We make ear wax, also known as cerumen. Many people are annoyed by wax buildup, but it has a purpose! Wax grabs all the dust, dirt, and other debris that gets into our ears. It also moisturizes the ear canal ~ without it our ears become itchy. It even has special properties that prevent infection. That’s all good stuff, so don’t be too frustrated with a little wax! Most often the wax moves from the inner part of the ear canal to the outer edge of the canal on its own. It is amazing to me how our bodies are put together so perfectly: it is designed so the wax is made deep in the canal, then skin cells and wax migrate to the outer edge of the canal, taking with them debris! Some people naturally make dry wax, others make wet wax. This can be due to genetics and other factors. The important thing to remember with this is how your wax tends to build up and how to best keep it from building up. If wax builds up it can cause pain, itching, ringing in the ear, dizziness, decreased hearing, and infection. Inappropriate cleaning with hard and/or sharp objects (such as an cotton swabs or paperclips) can increase the risk of infection or even perforation of the ear drum. Even special cotton swabs made “safe for ears” can push wax deeper and cause a solid collection of wax plugging up the canal. How can parents help babies and kids keep their ears clean? Routine bathing with clean warm water allowed to run into the ear followed by a gentle wiping with a cloth is all that is needed most of the time. Ear drops made for wax removal with carbamide peroxide can be put in the ear as long as there is no hole in the ear drum or tubes. The oily peroxide acts to grab the wax and bubble it up. Then rinse with clean warm water and a soft cloth (see syringe tips below). Make your own solution of 1:1 warm water:vinegar and gently irrigate the ear with a bulb syringe. Mineral oil or glycerin drops can be put in the ear. Let a few drops soak for a few minutes and then rinse with warm water and a soft cloth. First, be sure it is clean! Fungi and bacteria can grow within the bulb ~ you don’t want to irrigate the ear with those! While they can be boiled, they are also relatively inexpensive and easily available, so frequent replacement is not a bad idea. Use only warm water /fluids in the ear (about body temperature or just above body temperature is good). Cold fluids will make the person dizzy and possibly nauseous! If using drops first, put the bottle in warm water or rub it between your hands a few minutes (as if rubbing hands together to warm them, but with the bottle between the hands). Don’t overheat the fluid and risk burning the canal! Have the child stand in the tub or shower. Pull up and back gently on the outer ear to straighten out the canal. Aim the tip slightly up and back so the water will run along the roof of the canal and back along the floor. Do NOT aim straight back or the water will hit the eardrum directly and can impact hearing. Don’t push the water too fast ~ a slow gentle irrigation will be better tolerated. If they complain, recheck the angle and push slower. If complaining continues, bring them to the office to let us do it to be sure there isn’t more to the story. Refill the syringe and repeat as needed until the wax is removed. Use a soft cloth to grab any wax you can see and dry the ear when done. Some people like to use a hair dryer set on low to dry the canal. Just be sure to not burn the skin! After inspecting the ear canal carefully with an otoscope (or as I call it with the kids: my magic flashlight), we can use a curette (looks like a spoon or a loop depending on provider’s preference and wax type) to go behind the wax and pull it out. This is often the fastest method in the office, but is not always possible if the wax is too flaky or impacted into the canal leaving no room for the curette to pass behind the wax. It should only be done by trained professionals… don’t attempt this at home! If the wax is plugging up too much of the canal, the canal is very tender, or if the wax is particularly flaky and breaks on contact with the loop, we will let the ear soak in a peroxide solution then irrigate with warm water. This process takes longer but is better tolerated by many kids and they think it is fun to “shower their ear”. We often must follow this with the curette to get the softened wax completely out. Don’t put liquid in the ear canal if there is a hole in the ear drum (tubes are included in this). Pus draining from the ear is a sign that there might be a hole. Ear candles are not a safe solution. Burns are too big of a risk! The ear canal is very sensitive, especially if wax buildup has been there a while and has caused an infection of the skin in the canal. Anything put into the ear can increase any pre-existing pain. If the skin is friable from prolonged wax and/or infection there is often bleeding with cleaning. If you notice this at home, your child should have the ears evaluated in our office. We will look for holes in the ear drum, scratches on the skin in the canal, and signs of infection needing antibiotic. Some people who suffer from itchy ears can help themselves by NOT cleaning their ears so much! Earwax usually can be left alone. Only try to clean it out if there are signs of problems with it (ear pain, ringing in the ears, decreased hearing, etc). If kids don’t tolerate removal with the methods above, bring them in for us to take a good look. There might be more to the story that needs to be addressed. 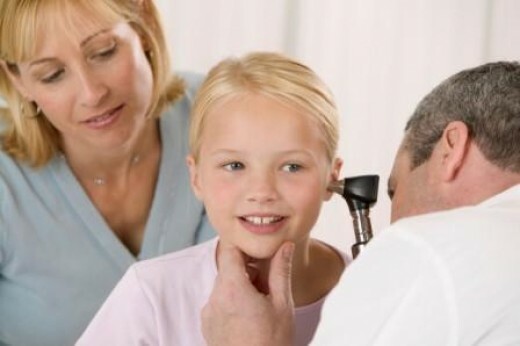 If there is significant ear pain, pus or bleeding from the ear, or an object in the ear, bring your child in to the office to have us assess and treat. Why wasn’t my son treated with antibiotics for his red ear? Before entering the room, I looked at the chief complaint of my new 15 month old patient: pulling at his ear. I was also seeing her 6 year old with an earache. Mom was concerned with her children’s frequent ear infections. They were always on antibiotics. After my exam, I tell her that while her infant’s ear was a little red, it was not infected. Her 6 year old had an ear infection. Neither needed antibiotics. Mom was most definitely not happy. The antibiotic seems to always help. Why weren’t they being treated this time? The answer was that I was one of the good pediatricians who only used antibiotics when they were appropriate. For decades, US physicians have been treating every red ear as an ear infection. There is now compelling evidence that not only is this practice wrong, but it is dangerous as well. First of all, a mild red ear is absolutely NOT a sign of an ear infection. In order for the infection to be present, the entire structure of the eardrum must be distorted and bulging. In addition, there must be fluid behind the eardrum that restricts its movement with air pressure. The mild red ear does not meet any of these criteria and is not a sign of an infection that requires antibiotics. Most red ears are due to infants’ crying while being examined. Current American Academy of Pediatrics Policy is to not treat ear infections at any age unless examination reveals the bulging distorted ear drum that I mentioned earlier. Definite ear infections should be treated in children less than 2 years of age. The recommendation that has caused the most resistance from both parents and pediatricians alike, is the “Observation Option”. Older kids can be observed with aggressive pain relief. If pain cannot be controlled or symptoms last more than 2-3 days, then antibiotics can be used. 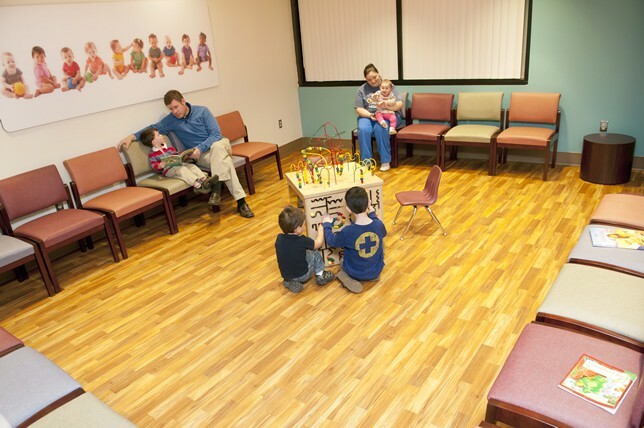 This idea has met with significant resistance from both parents and pediatricians alike. Trying to teach old dogs new tricks has always been difficult. Add to this the fact that parents want us to DO SOMETHING! It is a brave pediatrician who does not give parents what they want. Finally, it takes a lot less time to write an antibiotic prescription than to explain to an angry parent exactly why it is not needed. Not to mention the fact that many adults with simple colds get antibiotics from their own physicians. The indiscriminant use of antibiotics for viral infections and earaches must cease since it is causing enormous problems with bacterial resistance to our strongest antibiotics. I explained to the parent that while there is a small chance that her son will go on to develop a real ear infection requiring a second trip to the doctor, that is a small price to pay to avoid exposing our children to unnecessary antibiotics that can cause real harm. Many of us have used a compromise called the SNAP (safety net antibiotic prescription). A time limited prescription for antibiotics is provided to the parent to only fill if they really need it. We trust our parents to do this. Studies are ongoing to see how many actually do not fill the prescription. Dr. Lessin has been a practicing pediatrician for 30 years. He is a founding partner and served as both Medical Director and Director of Clinical Research at the Children’s Medical Group.